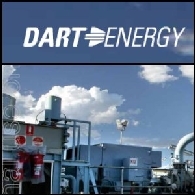 Following the Demerger of Dart Energy Limited (ASX:DTE) from Arrow Energy Limited (ASX:AOE) (PINK:ARWEF) and the subsequent establishment of Dart as an independent ASX-listed company, the Board has been seeking to build out the executive and management team of Dart. 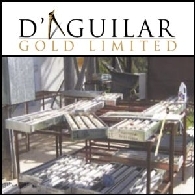 Further to the announcements to the ASX on 28 May and 26 July 2010, D&apos;Aguilar Gold Limited (ASX:DGR) are pleased to provide an update on activities of its subsidiary Armour Energy formed to focus on gas opportunities in northern Australia. 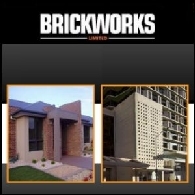 Brickworks Limited (ASX:BKW) (PINK:BRKWF) posted a Normal Net Profit After Tax (&apos;NPAT&apos;) for the year ended 31 July 2010 of A$110.2 million, down 3.1% from A$113.7 million for the year ended 31 July 2009. After non-regular items, Brickworks&apos; Headline NPAT was A$138.8 million, down 54.5% from A$305.2 million in the previous year. 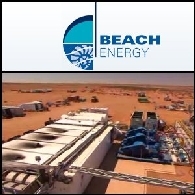 Beach Energy Limited (ASX:BPT) (PINK:BEPTF) has received a A$43.2 million contingent payment from Arrow Energy (ASX:AOE) in relation to the sale of the Tipton West assets. 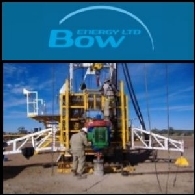 Bow Energy Limited (ASX:BOW) (PINK:BOWYF) is pleased to announce that it has appointed Mr Peter Harbison to the position of Chief Financial Officer. 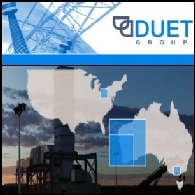 External assessments of Bow Energy Limited&apos;s (ASX:BOW) (PINK:BOWYF) eight coal seam gas projects in the Bowen and Surat Basins in Queensland have now identified Gas In Place (GIP) potential of over 13.8 Trillion cubic feet (Tcf) net to Bow. The 13.8 TCF estimate does not however include any GIP estimate for the Fort Cooper coal measures within the Norwich Park Block where Bow&apos;s first two exploration wells intersected an average of 28 metres of gassy Fort Cooper coals - indicating the potential for substantial additional gas resources within this Block. Friday Asian markets broadly rebounded after Wall Street gained on a string of positive earnings reports. 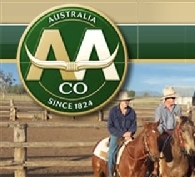 The Australian share market rose 0.5 per cent in early trade with material and financial stocks firmer. 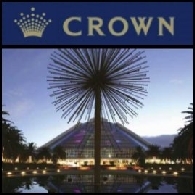 Today the Reserve Bank of Australia publishes financial aggregates data for March. The Housing Industry Association releases new home sales report for March. 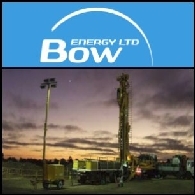 Bow Energy Limited (ASX:BOW) (PINK:BOWYF) are pleased to provide a progress report on the drilling program currently underway in the Norwich Park block (ATP 1031) located approximately 300 km north-west of Gladstone, Queensland. 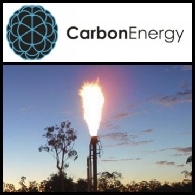 Carbon Energy Limited (ASX:CNX) (PINK:CNXAF) is pleased to announce that, after a period of extensive due diligence, Pacific Road has agreed to acquire 10% of the company from CSIRO in an off market trade. 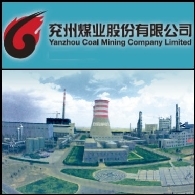 Pacific Road may elect to transfer some of this position to an investor or investors in its funds. 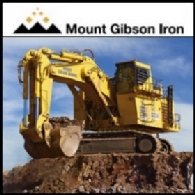 Pacific Road supportive of Carbon Energy&apos;s growth strategy Pacific Road Capital is a private equity manager which invests in the global mining industry. 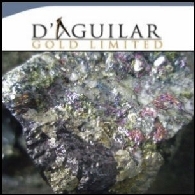 D&apos;Aguilar Gold Limited (ASX:DGR) is pleased to announce the appointment of Mr. Bill Stubbs as Non-Executive Director and Chairman of the Company. Wall Street finished higher in choppy trade as the upbeat economic data in Europe offset the news of disappointing retail sales in US. Wal-Mart&apos;s second-quarter earnings, above analyst&apos;s expectations, also helped to lift the market. The directors of Beach Petroleum Limited (ASX:BPT)(PINK:BEPTF) are pleased to announce that the Company has completed the sale of its entire holding of its shares in Arrow Energy Limited (Arrow). Beach has sold these shares at an average price of $3.7757 per share, thereby generating gross proceeds of $77.8 million, resulting in nearly $8 million in additional gross profit on the transaction. 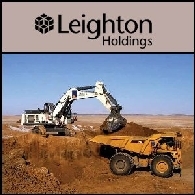 Beach Petroleum Limited (ASX:BPT)(PINK:BEPTF) is in a powerful position with zero corporate debt and a strong balance sheet after generating record annual sales revenue of A$581 million in the year to 30 June 2009. 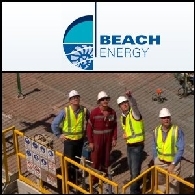 Although June quarter sales were slightly lower at A$118 million, full year oil and gas sales of A$581 million is a record for Beach. The Australian shares ended slightly lower after rise in early trade. The benchmark S&P/ASX 200 index was down 5.2 points, or 0.1 per cent, at 4000.8 while the broader All Ordinaries lost 5.1 points, or 0.1 per cent, at 3992.9 points. For the week, both indices surged more than 5 per cent, the strongest week in four months. 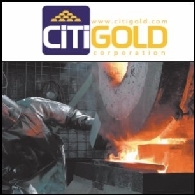 The local market started in positive territory today led by the gains in Wall Street. Beach Petroleum Limited (ASX:BPT)(PINK:BEPTF) further to the ASX release on 3 April 2009, the directors of Beach Petroleum Limited (Beach) are pleased to announce that the Company has today completed the sale of its 40% interest in the Tipton West Joint Venture coal seam gas ("CSG") asset to Arrow Energy Limited (Arrow), for consideration of up to A$400 million. 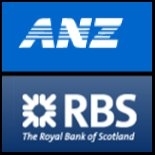 The Australian shares ended marginally higher last Friday. The benchmark S&P/ASX200 index was up 3 points, or 0.1%, to 3941.7, while the broader All Ordinaries Index rose 7.5 points, or 0.2%, to 3919.6. 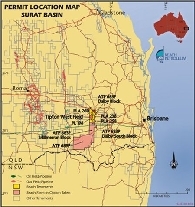 Beach Petroleum Limited (ASX:BPT)(PINK:BEPTF) Announce subsequent to the quarter, on 3 April 2009, Beach announced the sale of its 40% joint venture interest in the producing Tipton West Field and associated tenements in the Surat Basin, 20 km south of Dalby, to Arrow Energy Limited, under a tiered payment structure. 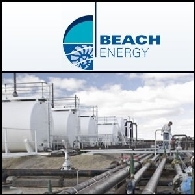 Beach Petroleum Limited (ASX:BPT)(PINK:BEPTF) is set to realise proceeds of up to A$400 million from the sale of its non-core coal seam gas (CSG) assets in Queensland to its joint venture partner, Arrow Energy Limited (ASX:AOE). Yesterday the Australian market proved defiant and held its ground despite massive falls in the US, according to CMC Markets. Interestingly, the share market didn&apos;t react too much to the interest rate decision. Today the major indexes in Asia have been hit by the unfavourable news from the US. 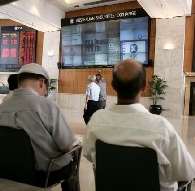 Asian share markets ended mixed yesterday indexes moved up and down in a narrow range. Shanghai continued its rally over government stimulus measures with a rise of 1.8 percent, and also led the Hong Kong shares up 0.8 percent. Tokyo and Seoul markets closed slightly lower as market was weighed down by the worries over the US rescue plan. 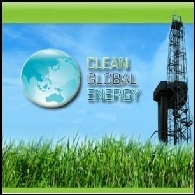 The Directors of Arrow Energy Ltd (ASX:AOE)(PINK:ARWEF) are pleased to announce that Arrow has signed a Memorandum of Understanding with Indian government owned ONGC Limited to cooperate in Coal Bed Methane (CBM). 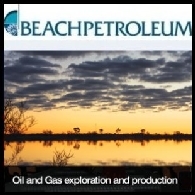 Beach Petroleum Limited (ASX:BPT)(PINK:BEPTF) announce the drilling report for the week ending ending 7 January 2009. 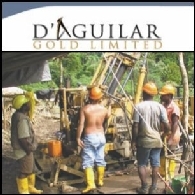 The drilling report for the week ending 7 January, 2009 is attached. 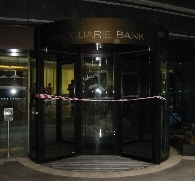 Yesterday, the Australian shares closed lower as investors were leaving the market before Christmas. On Monday, the benchmark S&P/ASX200 index was down 58.3 points, or 1.61%, at 3557.4 points, while the broader All Ordinaries index was 54.9 points, or 1.55% lower, at 3492.3 points. Analysts said the loss was larger than expected, and the negative news from the world markets would impact on the local market. Beach Petroleum Limited (ASX:BPT) Announce the drilling report for the week ending 27 August, 2008 are attached. 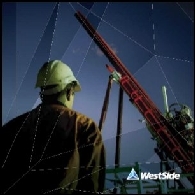 In areas operated by Santos, one well is in progress (Naccowlah West-22, Beach 38.50%) and one well has been plugged and abandoned (James-2, Beach 17.14%). 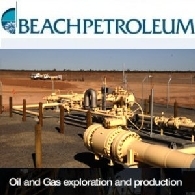 Beach Petroleum Limited (ASX:BPT)(PINK:BEPTF) is pleased to announce a major upgrade for its Surat Basin Coal Seam Gas ("CSG") reserves, following advice from Arrow Energy Limited ("Arrow"), the Operator of the relevant tenements. 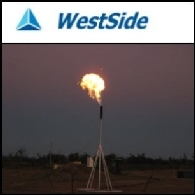 Beach Petroleum Limited&apos;s (ASX: "BPT") expanding coal seam gas assets have received another significant boost, with the announcement today of a major reserves upgrade for the producing Tipton West Field in central Queensland. 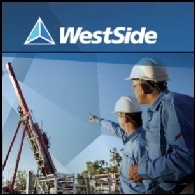 The Directors of Arrow Energy Ltd (Arrow)(ASX: AOE) are pleased to announce a substantial reserves upgrade of the Tipton West (Tipton) Field (Arrow 60%, Beach Petroleum 40%) as part of an ongoing multi-field certification program in the Surat Basin. Other Surat reserves increases are expected in the coming months. 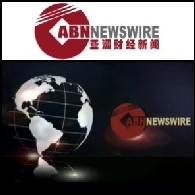 Arrow Energy has inked deals in China, India and Indonesia as it zooms in on higher gas prices in the booming economies of Asia. 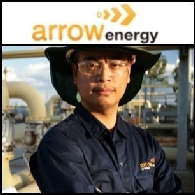 Arrow Energy N.L. 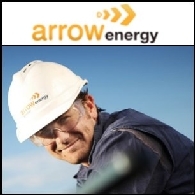 ("Arrow") is pleased to announce a streaming video presentation by Arrow Energy CEO Nick Davies. 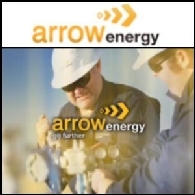 Arrow Energy N.L. ("Arrow") is pleased to announce an accelerated reserves certification plan for the greater Moranbah area to meet the emerging and growing needs of gas customers in the Gladstone to Townsville corridor. 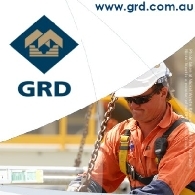 In particular there has been a significantly increasing number of enquiries from potential customers following the ongoing uncertainty with respect to the likelihood and timing of the PNG Gas pipeline project. Australia&apos;s largest coal seam gas play Arrow Energy anticipates a new level of growth, expanding into different products such as compressed natural gas, small scale LNG and gas to liquids power generation. 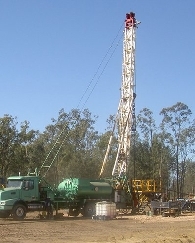 Arrow&apos;s merger with fellow coal seam gas company CH4 has increased the group&apos;s commercial and technical expertise, along with an expanded geographical spread. 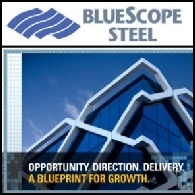 Arrow is also looking for growth internationally, focusing on gas hungry India. 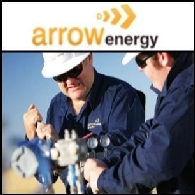 Arrow marks its first revenue with one million cubic feet of gas a day delivered into the Roma to Brisbane pipeline. 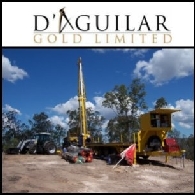 CEO Nick Davies says: "Although we’ve drilled a lot of exploration wells over the last few years, a lot of appraisal wells, and done a number of pilots that show how the wells perform over a short period of time, there’s nothing like proving that it happens in a full-scale development mode, and today we’ve proved that."